Want to find the radius of a circle? Already have the area? 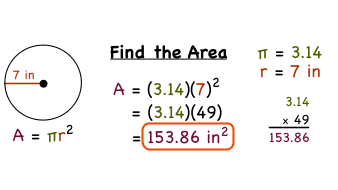 Then you can use the formula for the area of a circle to solve! This tutorial shows you how to use that formula and the given value for the area to find the radius. Take a look!